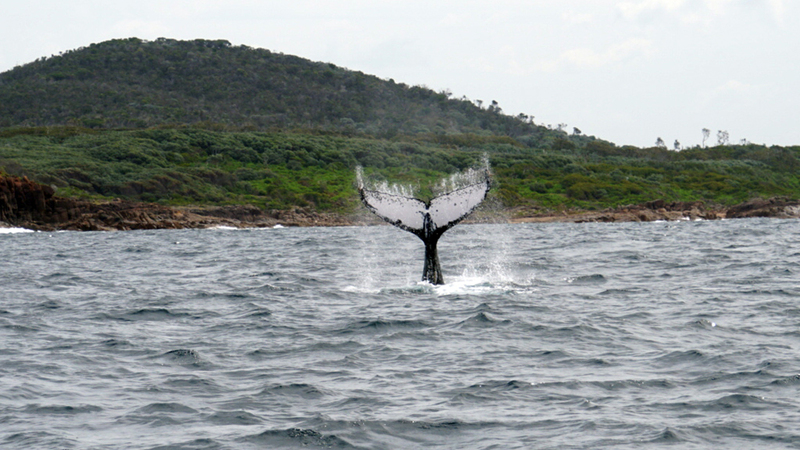 On this tour you will able to combine half day Sydney private tour and 2 hours humpback whales cruise on new high speed boat with only small group sizes to view the whales on open waters near Sydney harbour coast. 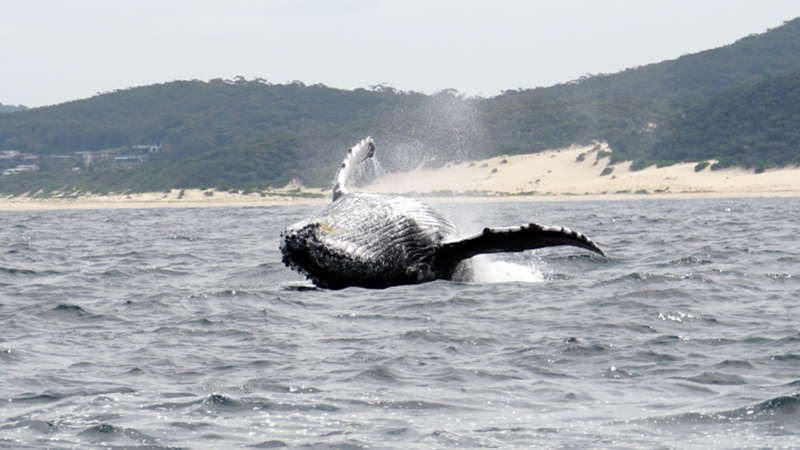 Humpback Whales are the most watched species for us with about 20.000 animals passing Sydney each year. 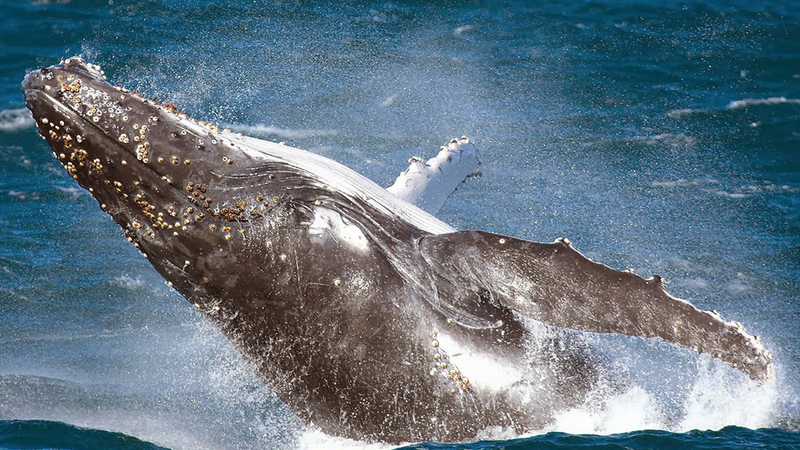 Humpback Whales travel thousands of kilometers from early May to Late November, between their winter breeding ground to their summer feeding ground along the East Coast of Australia. 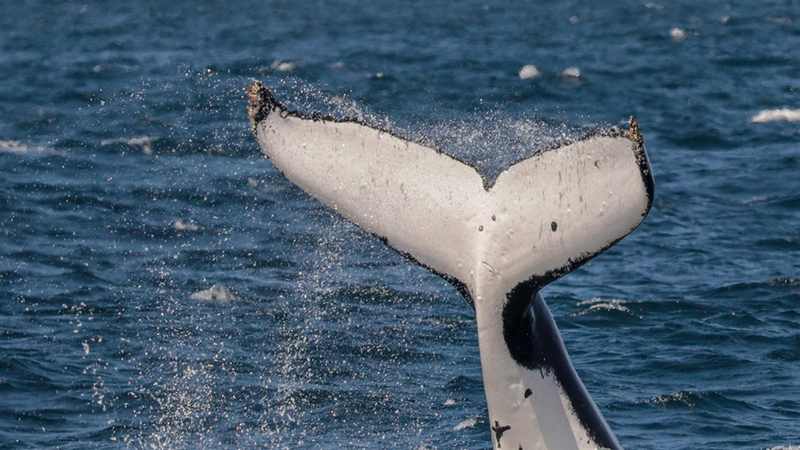 We are lucky enough to witness one of the longest whale migrations in the world off the coast of Sydney. Mid May - August: In May Humpback Whales begin passing by Sydney on their Northern Migration coming from antarctic waters in the south. By early August these whales have moved onto their breeding grounds up north around the equator. On the northern Migration we see a lot of breaching whales and active males showing their dominance to impress females for mating. August - Late November: Mid to late August to the beginning of December the whales are now all swimming south and we start seeing mothers with their newborn calves. They tend to spend more time on surface and swim slower (so that the calf can keep up!) although occasionally we will see some long down times. This part of the season is best for Muggings were the whales will come up close to the boat and investigate us! 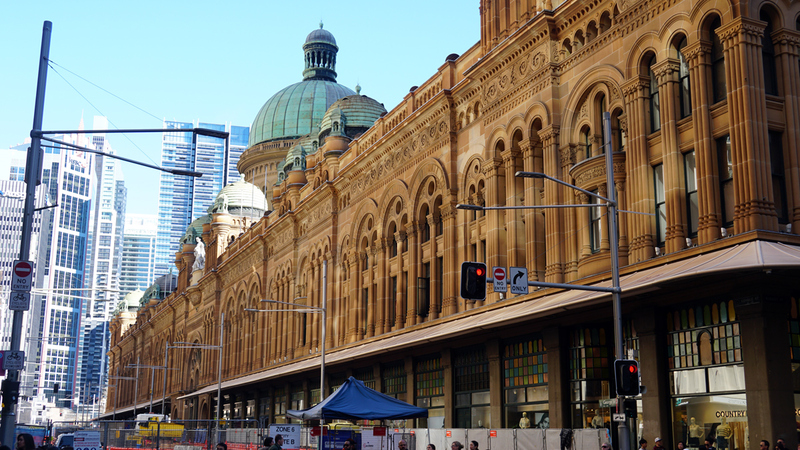 The Aussie city par excellence, Sydney stands head and shoulders above any other in Australia. Taken together with its surrounds, it's in many ways a microcosm of the country as a whole-if only in its ability to defy you expectations and prejudices as often as it confirms them. 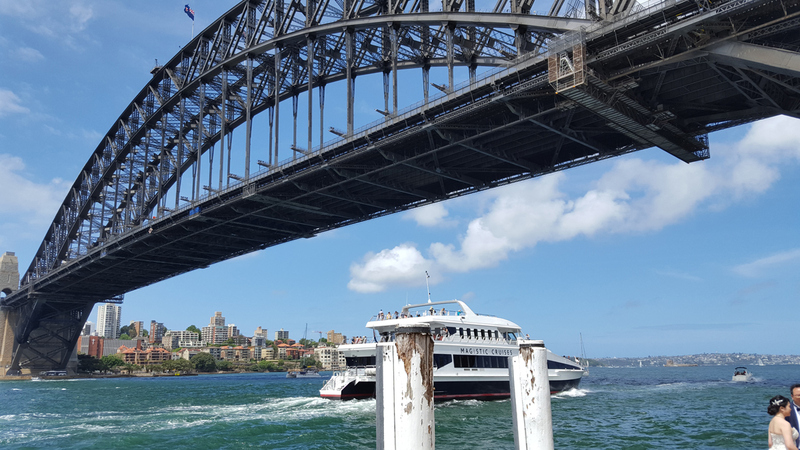 Experience the diversity and secrets of this beautiful harbour city from all aspects, visit many interesting places which are almost impossible to get to by public transport, even the popular 'hop on, hop off' tourist bus. Learn about our unique Aboriginal and European History and its colourful characters. 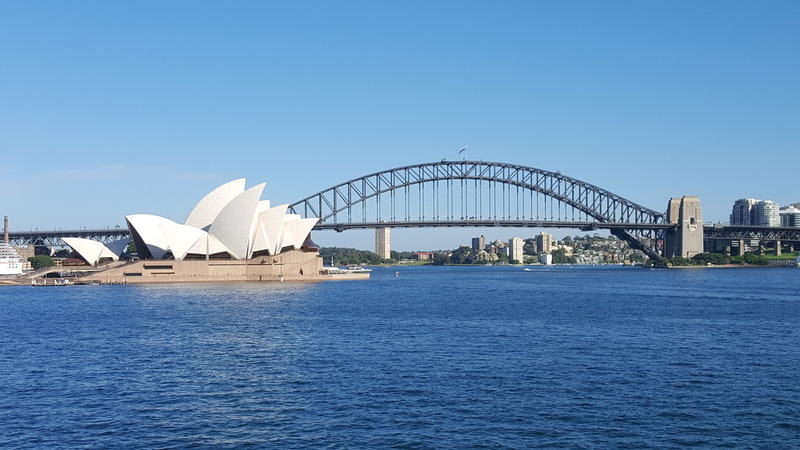 Sydney is a city loved by the world's filmmakers; during the tour we visit many sites where movies such as "The Great Gatsby" ,"The Matrix", "Mission Impossible 2", "Australia” were filmed. 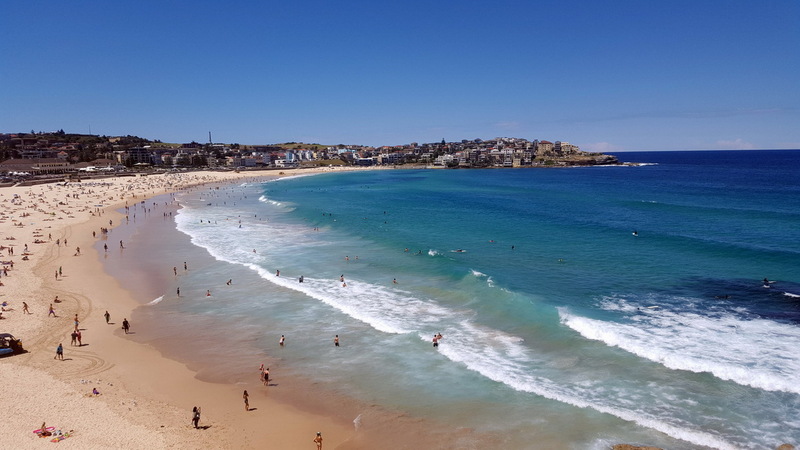 We will offer you a truly "private tour" because we keep you away from the crowds while at the same time giving you a chance to see Australia's beauty as it should be seen. During sunny and not windy day 100% whales watching guranteed! Itinerary: All itineraries can be changed, you could add or skip any of attraction listed below! We are happy to show tourists as much as possible within the tour time frame. Pick Up tourists from a Sydney hotel at 8.30 am. • We start our tour from the historical Rocks area. 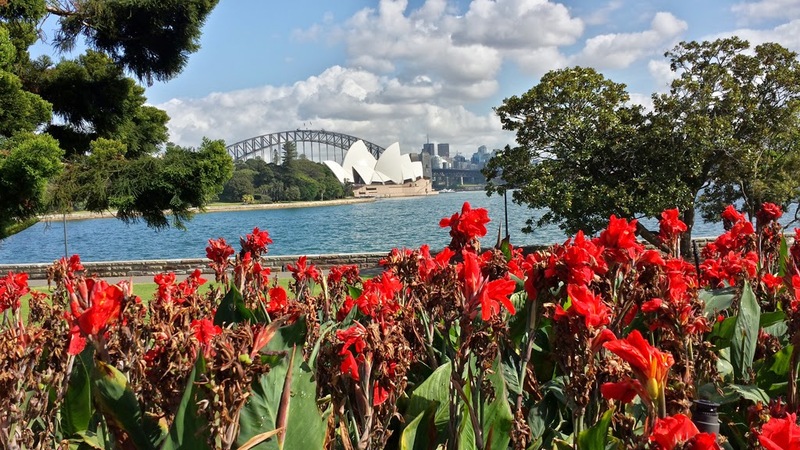 • A walk through the Royal Botanical Garden to the Sydney Opera House, Harbour Bridge, will give you the opportunity to view Australia's unique native trees and flowers. The park is full of white cockatoos, and you will be able to take photos with them as well. 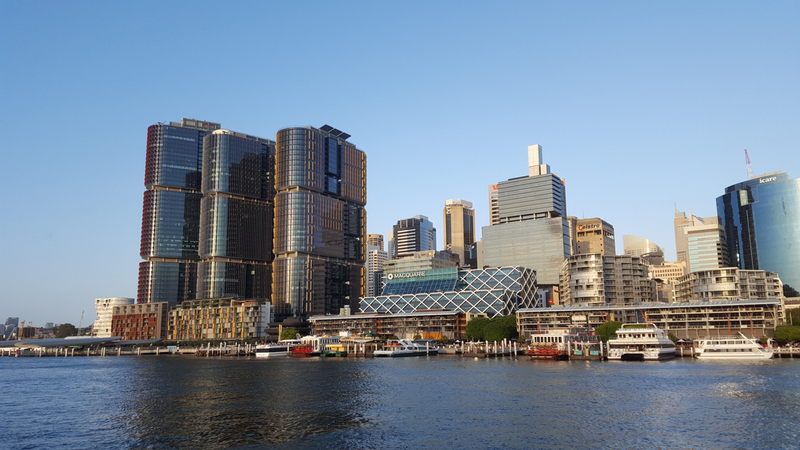 • Stopping at Harbourside to enjoy incredible views over Darling Harbour & City Skyline. • Continuing Sydney private tour and exploring Eastern suburbs by Driving through Woolloomooloo, Kings Cross, through some of the most expensive suburbs in Australia such Rushcutters Bay, Darling Point, Double Bay, Point Piper, Rosebay, Vaucluse will give you the chance to see the life of the rich and famous, who knows you may even see a celebrity or two since many of them live in these areas. 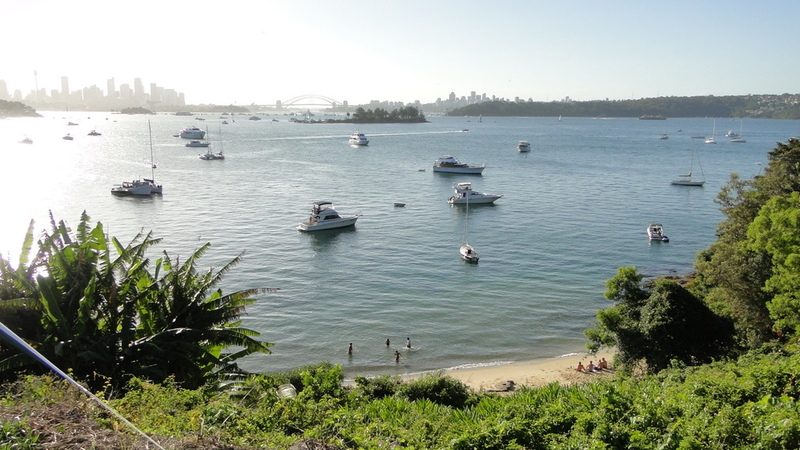 • Next we stop at Queens Beach (the recent location of Angelina Jolie's house) to take photos of the majestic Sydney Harbour. Following this we drive to Nielsen Park. 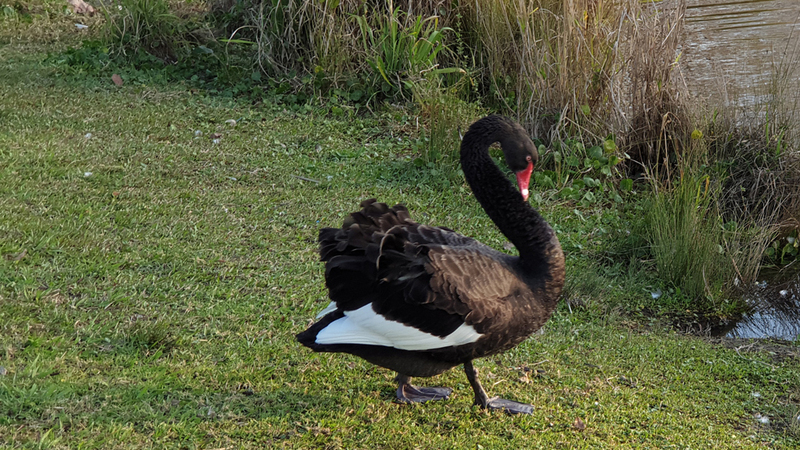 • We visit historic Vaucluse House & Garden where you tour around the 18th century estate where you learn not only about the owners but also on Australia's beginnings and its first settlements. 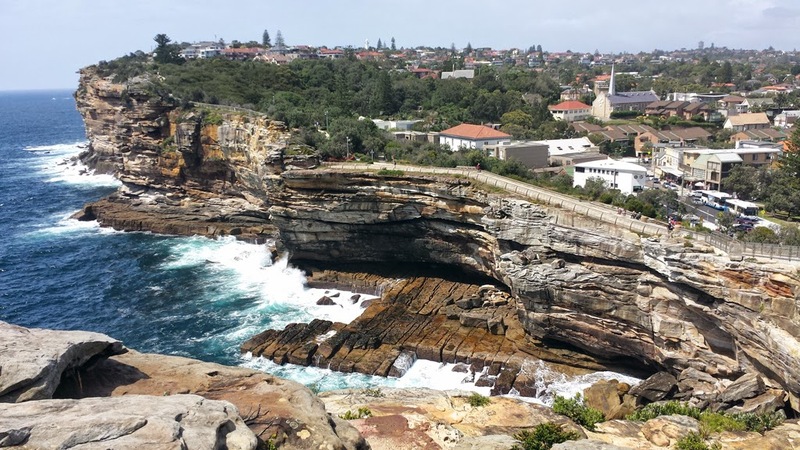 • Stop at Watson's Bay where you can take a leisurely walk along the cliff tops of The Gap, the opening of Sydney Harbour to the Pacific panorama. 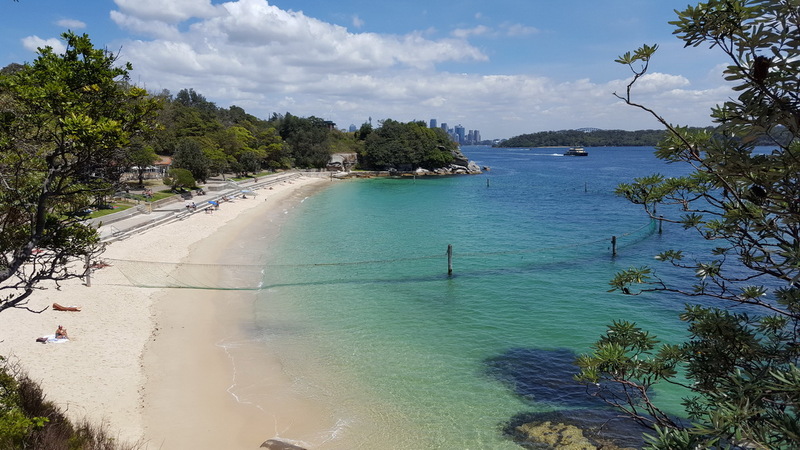 • Stop at the Dover Heights - the highest hill in Eastern Suburbs for panoramic views of the Sydney Harbour and a view of the contemporary private properties. 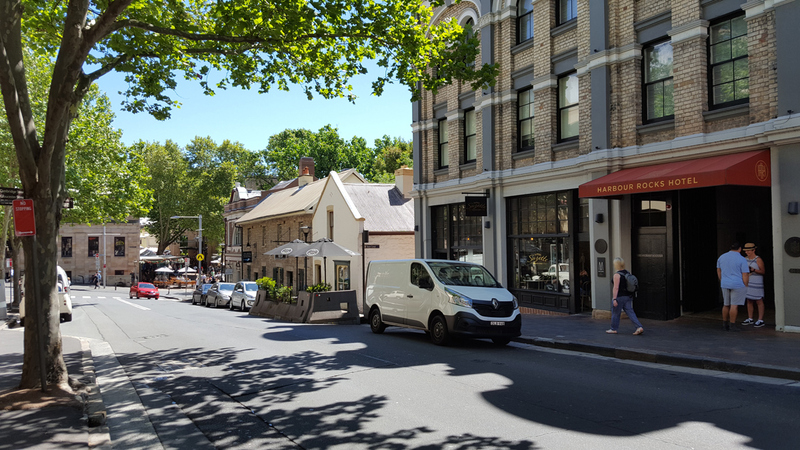 • Drive back to Sydney city through Paddington, Chinatown and back to your pick-up spot.